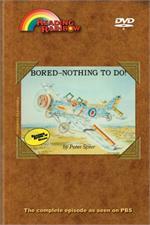 Home > • Reading Rainbow DVD - As seen on PBS with Public Performance rights > Bored--Nothing to Do! Theme: A wonderful adventure can cure any case of boredom. 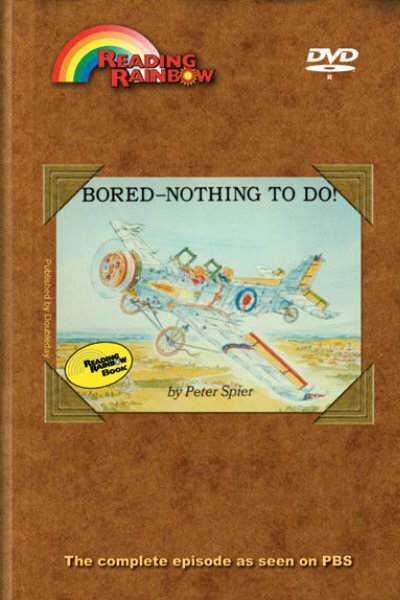 On a lazy afternoon, two bored brothers keep themselves busy by building and flying an airplane. When LeVar takes a commerical airline flight, he finds out that airline employees do everything - from stocking up on meals and stowing luggage to flying the plane and caring for the passengers. He has some fun flying a remote control model airplane, and explores the history of flight through film clips, then experiences piloting a plane himself. Pioneers in Flight – See some of the pioneers in flight including the Wright Brothers and Charles Lindberg.Visit the Airport –See airline crew preparations for passenger jets arriving and departing. Flight School – LeVar meets flight school instructor Deborah Bonard of Nassau Flyers who does a preflight check, uses a manual for directions in starting the airplane, taxi’s onto the runway, takes off, flies the plane, then returns to the airport and lands. Use this episode to further enhance your science curriculum. Science Concepts: air pressure, lift, Bernoulli's principle, drag, air resistance.